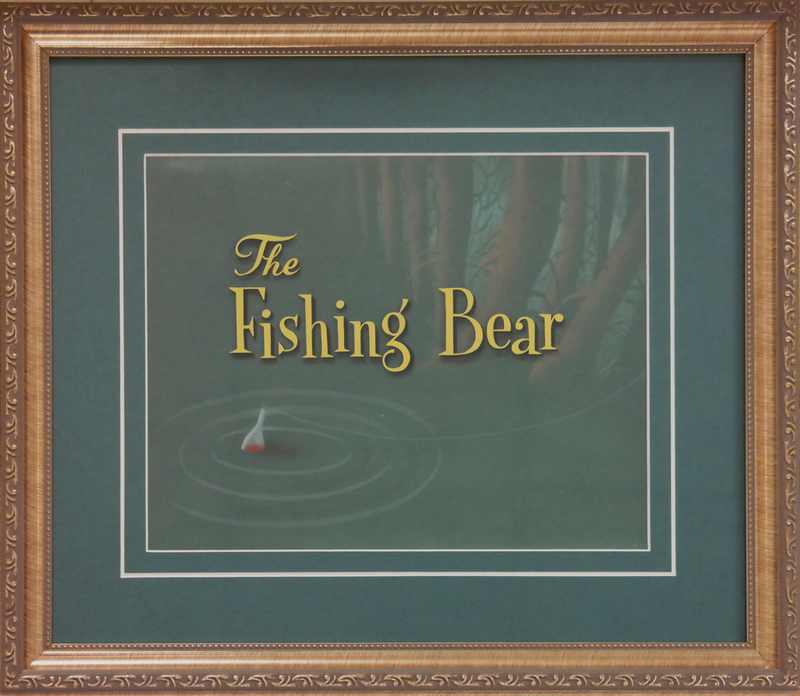 This is an original title card cel and background from the MGM Studios production of The Fishing Bear (1940). 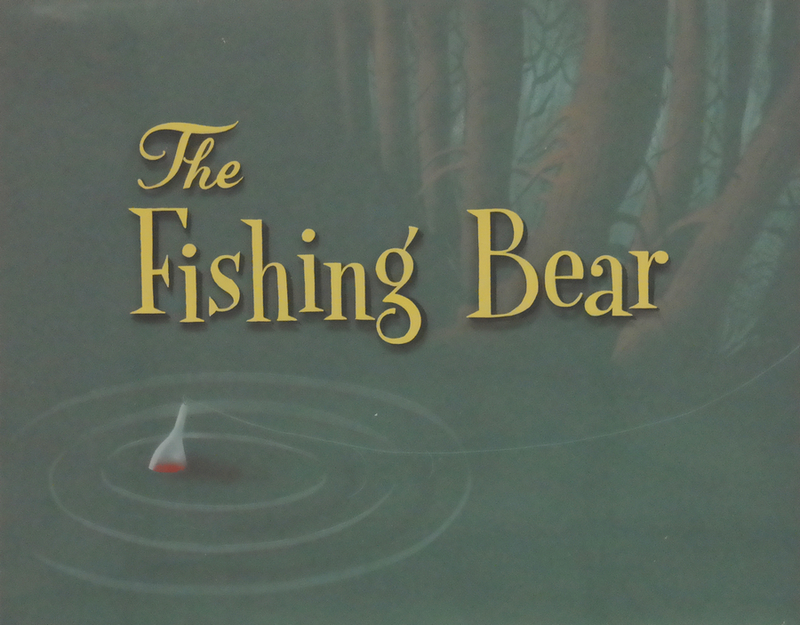 This title card cel and background features the main title imagery of fishing gear and was created at the studio and used during the production of the film. The overall measurements of the piece are 16.75" x 19.25" framed with the mat opening measuring 9.5" x 12" and the image itself measures 9" x 11.5".